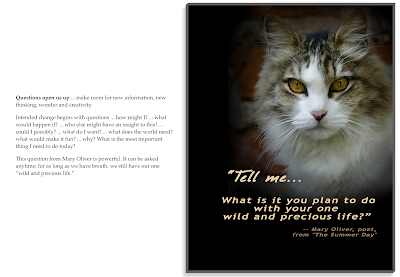 I decided that Wandering & Wondering with a Storyteller’s Eye needed a Table of Contents. Simple, huh? I’ve been through this process enough to know that it would also prompt some revisions. However, that’s all I expected, just revisions, not a whole new chapter, and definitely not some of the deepest writing I’ve ever done about my mother. I’ve always somewhat jokingly referred to myself as a motherless child even though I had a mother who did all the right things, who took care of my father and I, who was a good person, a kind and generous person … to strangers and people outside her closest circle. To us inside that circle, she was a prickly mystery, a closed book. I am still working through the book revisions (and the Table of Contents), and will release the finished-finished book on September 17th, with the final copy sent to everyone who has requested the free version … of course. 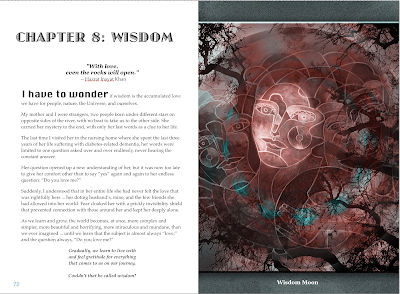 In the meantime, here’s the page about my mother, beginning the chapter on Wisdom. 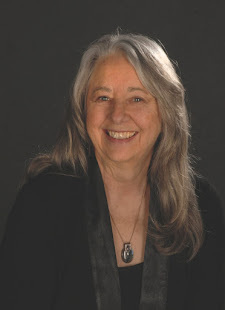 I will always wonder if I had been wiser earlier, if we might had made that connection that never happened while she was alive. 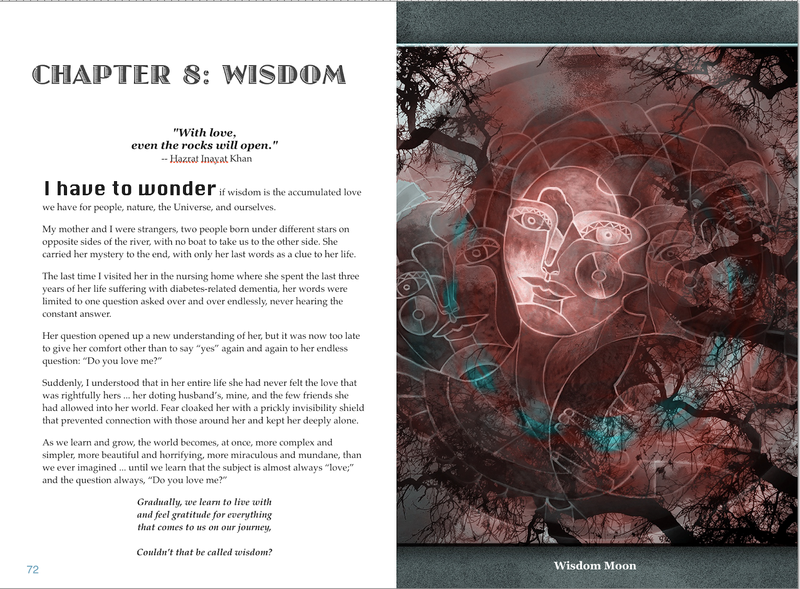 Here's the page about wisdom and my mother. If you click on the image, you'll get a larger version. 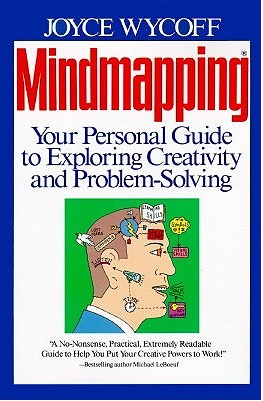 Mindmapping is one of the simplest, most powerful, tools a person can have in her creativity toolbox. 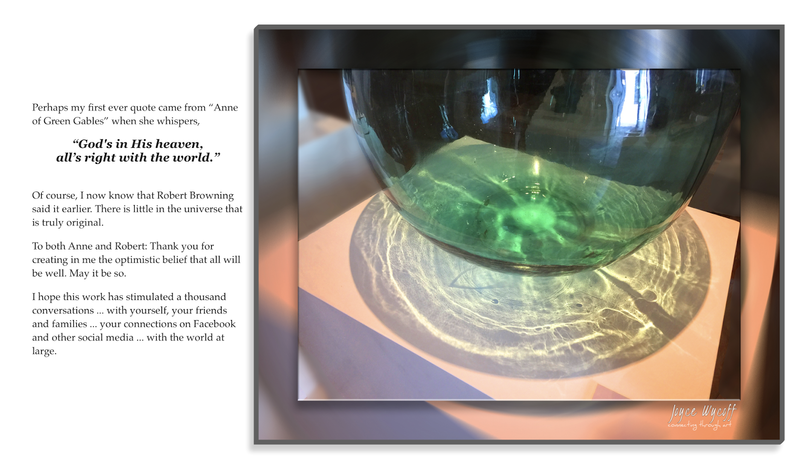 It is a non-linear way of organizing information and a technique that allows you to capture the natural flow of your ideas. Here's a five minute workshop on how to use this flexible tool. Try it the next time you need to write a memo, prepare a meeting agenda, or are trying to get a bird's eye view of a complex (or simple) project. It's great for planning vacations ... use a big sheet of paper and give everyone a crayon. Step 1: Center First. Our linear, left-brain education system has taught us to start in the upper left- hand corner of a page. However, our mind focuses on the center ... so mindmapping begins with a word or image that symbolizes what you want to think about placed in the middle of the page. 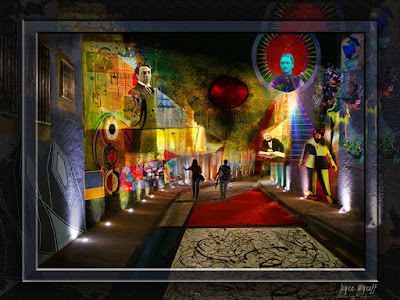 As the images get more complicated, you can click on them to bring up a larger version. attitude ... you can always get serious later. Step 3: Free Associate. As ideas emerge, print one or two word descriptions of the ideas on lines branching from the central focus. Allow the ideas to expand outward into branches and sub-branches. Put down all ideas without judgment or evaluation. Step 4: Think Fast. Your brain works best in 5-7 minute bursts so capture that explosion of ideas as rapidly as possible. Key words, symbols and images provide a mental short-hand to help you record ideas as quickly as possible. Step 5: Break Boundaries. Break through the "8 1/2x 11 mentality" that says you have to write on white, letter-size paper with black ink or pencil. Use ledger paper or easel paper or cover an entire wall with butcher paper ... the bigger the paper, the more ideas you'll have. Use wild colors, fat colored markers, crayons, or skinny felt tipped pens. You haven't lived until you've mindmapped a business report with hot pink and day-glo orange crayons. Step 6: Judge Not. Put everything down that comes to mind even if it is completely unrelated. If you're brainstorming ideas for a report on the status of carrots in Texas and you suddenly remember you need to pick-up your cleaning, put down "cleaning." Otherwise your mind will get stuck like a record in that "cleaning" groove and you'll never generate those great ideas. Step 7: Keep Moving. Keep your hand moving. If ideas slow down, draw empty lines, and watch your brain automatically find ideas to put on them. 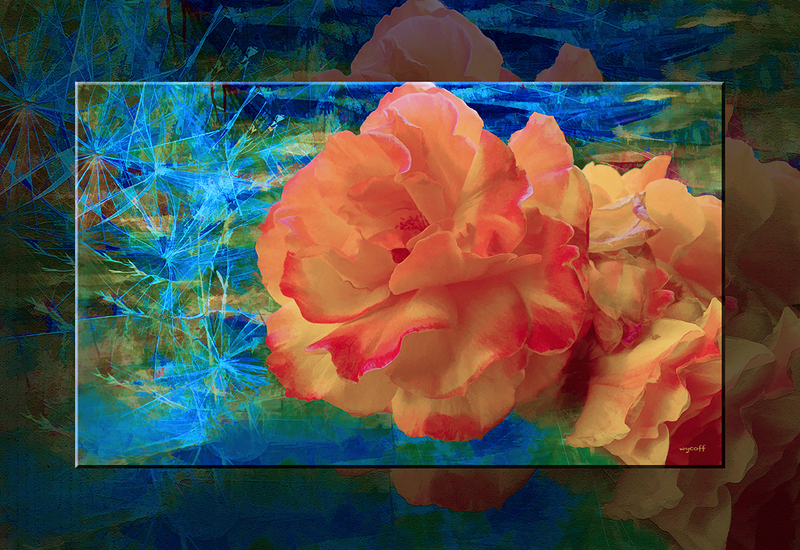 Or change colors to reenergize your mind. Stand up and mindmap on an easel pad to generate even more energy. Step 8: Allow Organization. Sometimes you see relationships and connections immediately and you can add sub-branches to a main idea. Sometimes you don't, so you just connect the ideas to the central focus. Organization can always come later; the first requirement is to get the ideas out of your head and onto the paper. Have fun! And, let your ideas flow. NOTE: My mindmapping book was published almost 30 years ago and I created this simple workshop almost 15 years ago so everyone could use this powerful technique. 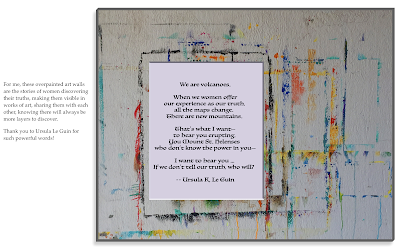 A friend wanted to pass it along to her workshop folks so I was delighted to find it still on the internet ... although it had been appropriated by a website that used it verbatim without bothering to attribute it at all. I'm just happy to find it in its original form. In case you would like to pass it along, please feel free to send this link ... or click here for a pdf if you'd like to print it out and use it. 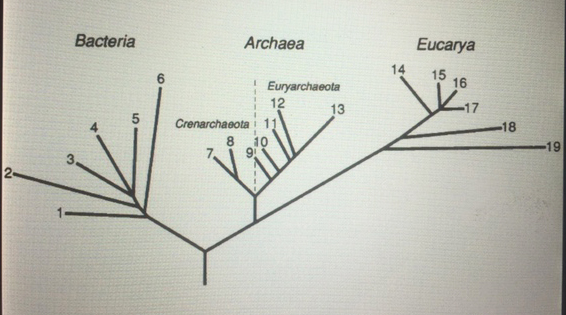 Sometime after the Big Bang, life on Earth emerged. 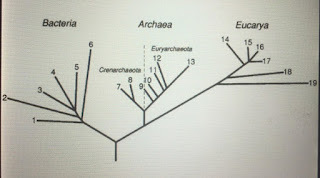 The "Natural System" tree of Woese, Kandler and Wheelis, 1990. Like many things in life, it seems as if we can comprehend it, we don't fully understand it. I was already prepared for the Bacteria part of this development after reading 10% Human which helped me respect the mass of bacteria that makes up my body and have a better understanding of how to feed and care for that important aspect of myself. And, Bill Bryson's book delighted me with his, as amazon.com states, "sometimes profound, sometimes funny, and always supremely clear and entertaining adventure in the realms of human knowledge, as only Bill Bryson can render it." 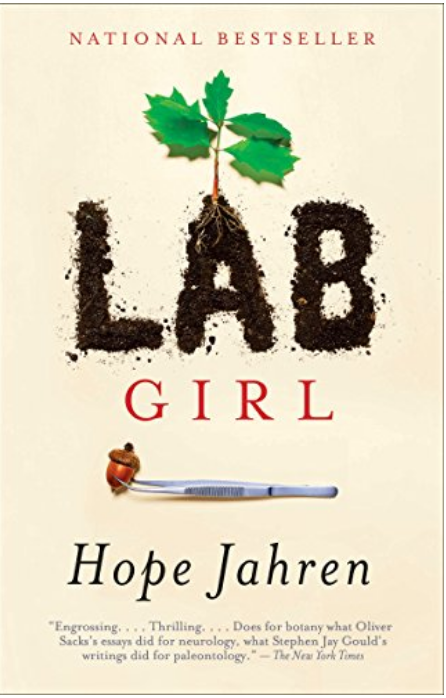 I am grateful for authors who can simplify and translate science into stories and information that I can understand and relate to. "PLANTS HAVE FAR MORE ENEMIES than can be counted. A green leaf is regarded by almost every living thing on Earth as food." 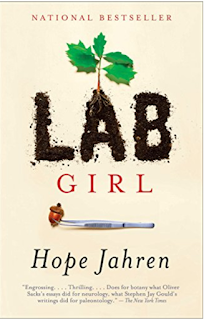 Reading Lab Girl, is like talking to a scientist friend who tells you all the inside stories and all her most embarrassing moments. Apologies to everyone who had trouble downloading the book. 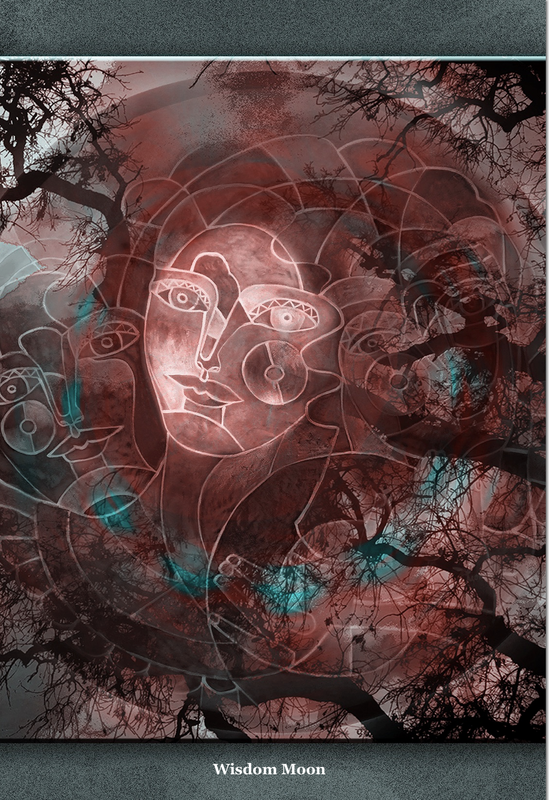 It looks like I created a hiccup in the Wandering & Wondering with a Storyteller's Eye. This image ... Lost in Technology ... is a bit how I feel about this learning curve. If you had any trouble, please try this link. And, below, there is a new page, which will expand to a readable size if you click on it. It looks like there's going to be a completely new chapter in the final book: Magic! You will have an opportunity to get the complete, final book, ... Free, of course! Please click on this image to get a readable size. Books have always been my guides and teachers. 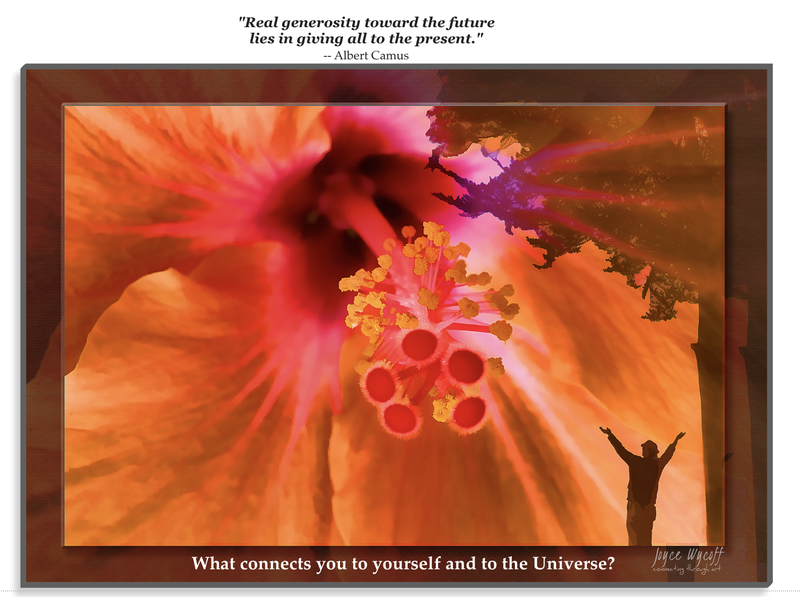 In my early life, Napoleon Hill’s Think and Grow Rich opened me up to positive thinking and Alex Osborn’s Applied Imagination led me into a life-long love affair with the mysteries of creativity. 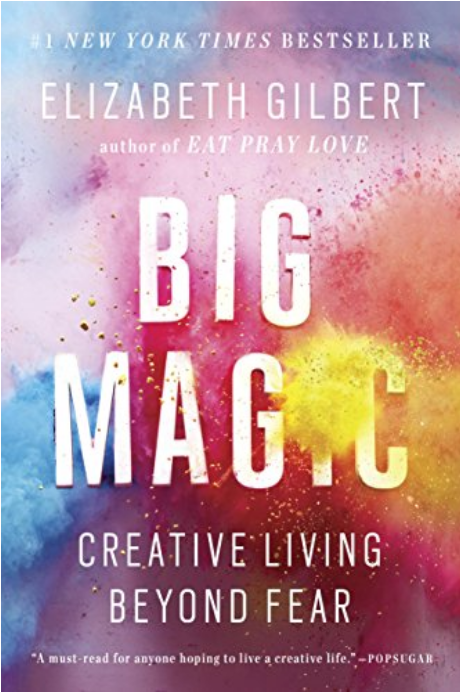 At this stage of life, I’m enchanted by Elizabeth Gilbert’s Big Magic which invites us to live a creative life. 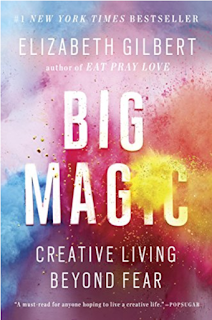 While creativity is a word that intimidates many people, Gilbert defines it as being driven more by curiosity than fear. One form of curiosity she encourages is discovering the hidden jewels within us. Those of us who have lived long tend to think we have discovered all our skills and talents. However, we are endlessly complex creatures, and as long as we have breath, there are things to discover about ourselves. 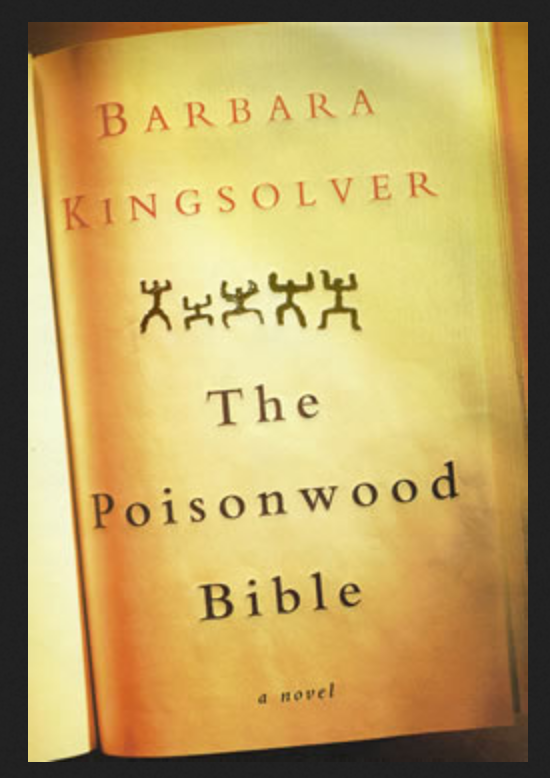 What thrills me most about Barbara Kingsolver … now at least ... is that I never know what to expect, but I always know it will be an interesting journey. I started reading her sometime after The Bean Trees came out in 1988 and drifted delightedly through Animal Dreams and Pigs in Heaven. I put her in a neat little box of authors I enjoyed. And then came The Poisonwood Bible and I didn’t know whether to put it on an altar or spit on it. 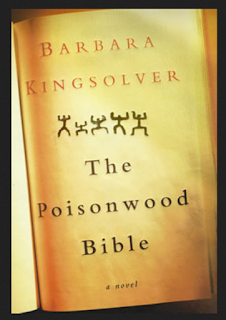 It wasn’t what I signed up for when I bought the name Kingsolver. 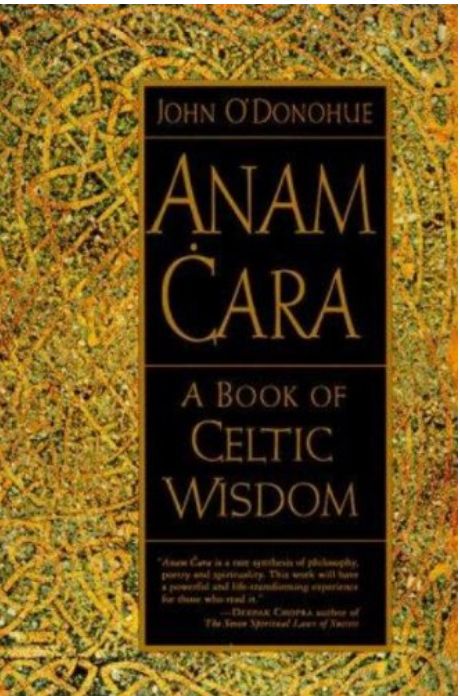 However, after finishing it, I found myself thinking about the characters, thinking about the world they lived in and the challenges of living in such a different culture. Particular passages or events haunted me and still make me think about them. 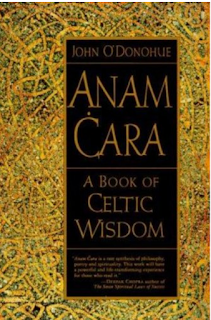 By the time I got through to Prodigal Summer, The Lacuna, and Animal, Vegetable, Miracle, I had stopped thinking about her as a name on a book, but rather as a woman who was thinking and writing about things that interested me. 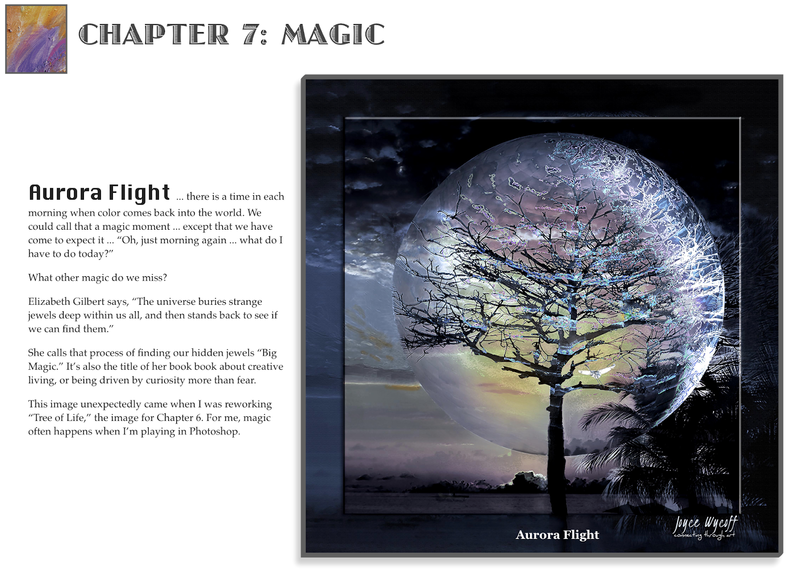 And then came Flight Behavior, a magical book. All I know now is that whatever she writes, I will read and be transported to a different place and informed about the world and all its wonders. I grew up on a “farm” outside a small town in southeastern Kansas. Coffeyville had a library that I loved but no bookstore. 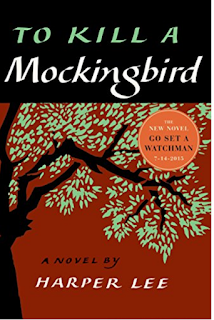 In 1961, I went with a friend and her family to the big city … Kansas City … where I saw my first bookstore and purchased my first book … To Kill a Mockingbird. I didn’t know anything about it so I’m sure it was just because of the intriguing title. On that trip, I fell in love with bookstores and my idea of wealth was formed. Someday I would be rich enough to walk into a bookstore and buy as many books as I wanted. TKM knocked me over. Kansas at that time was relatively progressive. Schools were integrated and most of us didn’t think much about diversity and social conditions. Actually, at that time of my life, I’m not sure I thought much about anything. To Kill a Mockingbird made me think. Not long after that, I moved to Fort Smith Arkansas, where schools were not integrated and there were still “whites only” signs around. It was a different world and I could see the difference, and began to think about justice, equality and the world I wanted to live in. 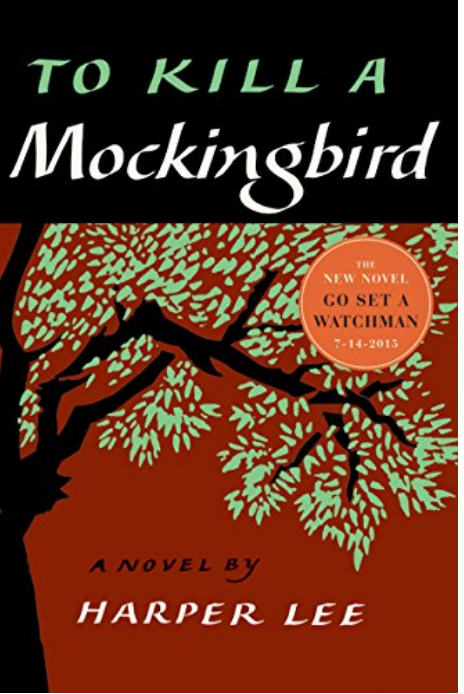 To Kill a Mockingbird is now one of our most beloved books and definitely one of the books that shaped my world view. 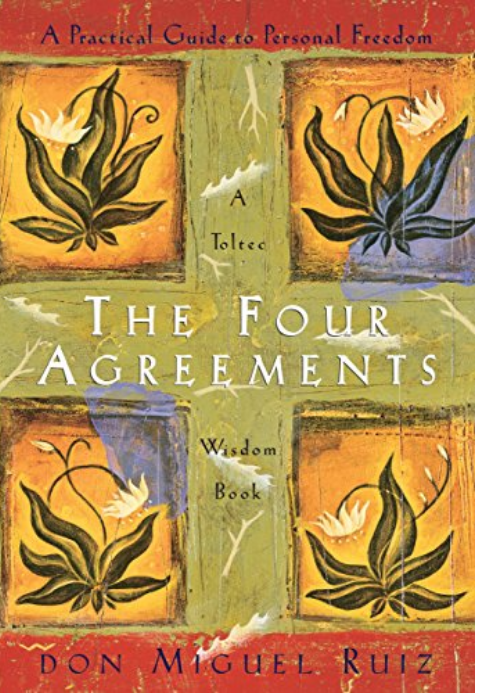 I'm not sure how many times I've read it, but it may be time to read it again. There is something dangerous about gaining awareness: it can bite you when you forget. Recently I met a woman who pushed ALL my buttons. Within minutes of meeting her, I had several valid reasons for not liking her. I won’t bother listing them as they don't pertain to this insight and probably aren't even true. Yesterday morning, sitting in one of my favorite coffee shops, a vendedora came in with load of bags and other bright, colorful items, as well as her two, very cute, children. I’ve bought several things from her in the past, but this morning I didn’t need anything. We exchanged pleasantries as much as two people can without a shared language. Then, she pulled out a piece of paper, handwritten in English, obviously by someone else, describing her situation and why she needed money. The note encouraged the reader to be generous. It was a touching note and at the bottom, it was signed by the woman I recently met, whom I had written off and talked unkindly about to others. I contributed some pesos to the mother, but it didn’t wipe away the guilt I felt about judging someone so harshly AND indulging in unkind conversation about her. I wasn’t impeccable with my word. It was bad enough that I judged her so harshly but I spoke to others about my feelings as if they were the reality of who she is. I took things personally. The woman and I had a small exchange that I definitely took personally and felt offended. I made assumptions. I assumed many things about this woman and judged her harshly. I didn't do my best to be kind, and fell far short on one of my core values. How fortunate I was to have this interaction that held up a mirror that helped me see an unflattering view of myself. A Facebook friend shared a quote from John O’Donohue that likens us to a tower of windows. Moving to a different window shifts our perspective. Today I am choosing to move to a window that reminds me that what I see in others is not who they are, but rather a projection of who I am. Thankfully, today is another day. There are books I read, enjoy and immediately forget. And, then there are some books, slow books, books that take weeks or months to read, that demand to be highlighted and contemplated, books so beautiful I can never forget them. In 2009, I was at a low point, feeling homeless, abandoned, untethered. Some how I came across John O'Donohue's book and fell immediately, head over heels in love with his words ... and, more importantly, the possibilities of my life. I couldn't get to Google fast enough. I wanted to experience more of this person; I wanted a workshop. It broke me open all over again to find out that he had died the previous year. I had to make do with his words so I have read them again and again. Here are just a few that a Facebook friend shared this morning. It reminded me to download a kindle version since I left my library behind when I moved to Mexico. 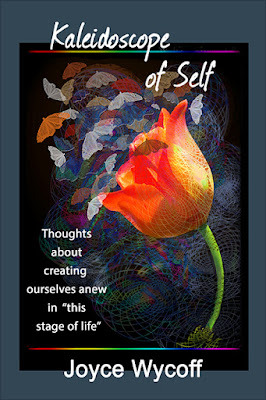 “There is a beautiful complexity of growth within the human soul. In order to glimpse this, it is helpful to visualize the mind as a tower of windows. Sadly, many people remain trapped at the one window, looking out every day at the same scene in the same way. Real growth is experienced when you draw back from that one window, turn, and walk around the inner tower of the soul and see all the different windows that await your gaze. Through these different windows, you can see new vistas of possibility, presence, and creativity. Complacency, habit, and blindness often prevent you from feeling your life. actually I never write but always think about writing. 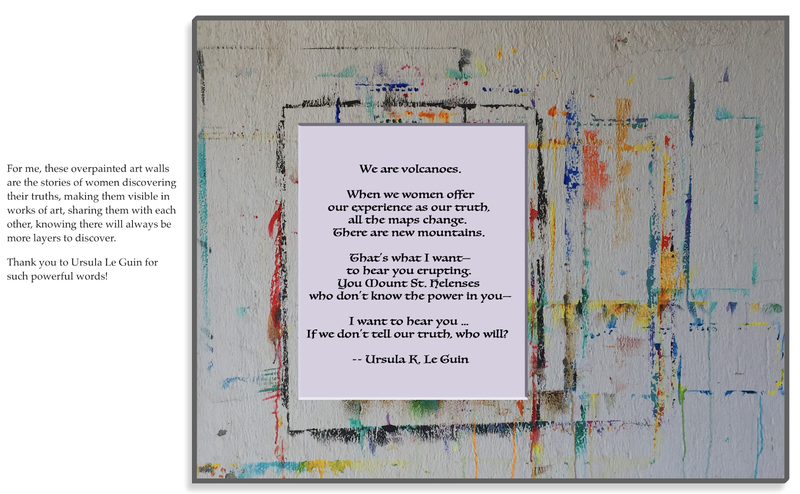 In the past year, I’ve created a mountain of art … well, it would be a mountain if it weren’t all stacked in my computer in neat, pixel-hungry Photoshop files. 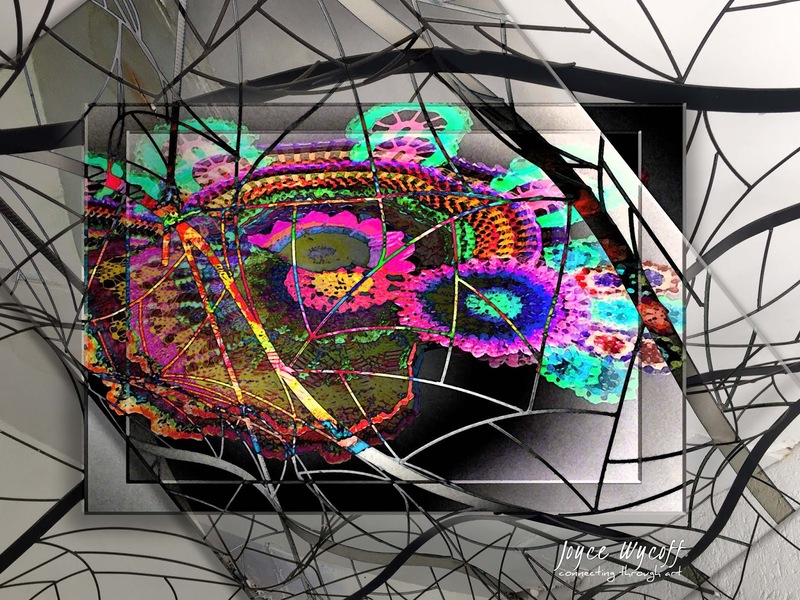 What I really wanted was an album where I could look at my art and share it with friends. The solution I hit on was a digital magazine: dump in the photos, make a link and send it out. Simple. Why is it that simple ideas seldom are? Beautiful though digital magazines are, it didn’t take long for that solution to reveal it’s complications … and expense. However, I was just about to leap into the new software and monthly expenses when a friend recommended iBooks Author. At first, I rejected the idea. I didn’t want to publish another book and go through getting an ISBN number and publishing it to some e-book site. And, I definitely couldn’t afford to actually print a full-color book of art. So, I opened up the free software, somewhat determined to prove her wrong … and fell into wonderland, substituting my own letters: OMG! Suddenly, I was on a path that allowed stories, poetry, lessons and bits of wisdom I’ve picked up along the way to be part of the journey. It was like a life collage forming in front of me … with no glue bubbles to try to eliminate. Slowly, it turned into a book. But, not a 50,000-word book … more like a 5,000-word book with lots of pictures. 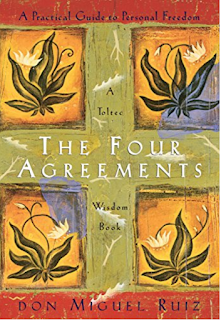 A picture book for adults, especially adults trying to navigate "this stage of life." In the process, the book became my second love letter to my life. And, to celebrate the completion of it, I’m giving away the pdf version for a month to my friends and all their friends and friends of friends. … before September 16th at 10:00 p.m. CST. At that point, I'm either going to sell it or retire it. A major question ends each chapter. Chapter 3 - WANDER has a lot about Oaxaca - the story behind the frame is a favorite. Chapter 6: CONNECT, page 63 ... all art is mine. It took 10 pages to say Adios (to god) and required a brand new piece of art. Hola! It's here ... my new book filled with stories, sights, art, and bits of wisdom about "this stage of life." To get it click here: Kaleidoscope of Self. It changed titles three times in the process, and also changed the business model ... if you can call FREE a business model. Going through the process of writing a book automatically triggers questions of marketing, formats, distribution, and pricing. 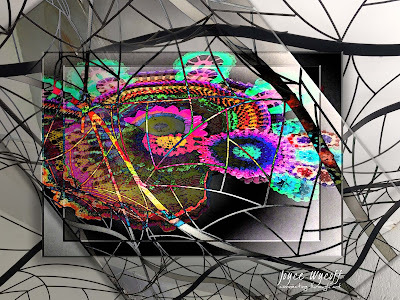 This past year, as I thought about my art, I realized what I really wanted was to make connections. Now I realize it's the same for my writing. Because this book is filled with full-color art, printing it would be extremely expensive and even putting it into e-book format is far more complicated, expensive and limiting than a standard black-and-white book. PDF is a simple format and there are ways to sell pdfs online, however, it would mean doing things I don't want to do, and it would limit my connections. So, free is the easiest and I hope it helps me meet more of you. I've also started a Facebook learning group ... Kaleidoscope of Self ... where the chapters will be serialized and encourage sharing of stories and insights. "It’s fabulous - it’s amazing - it’s unique - it’s uplifting - it’s courageous." 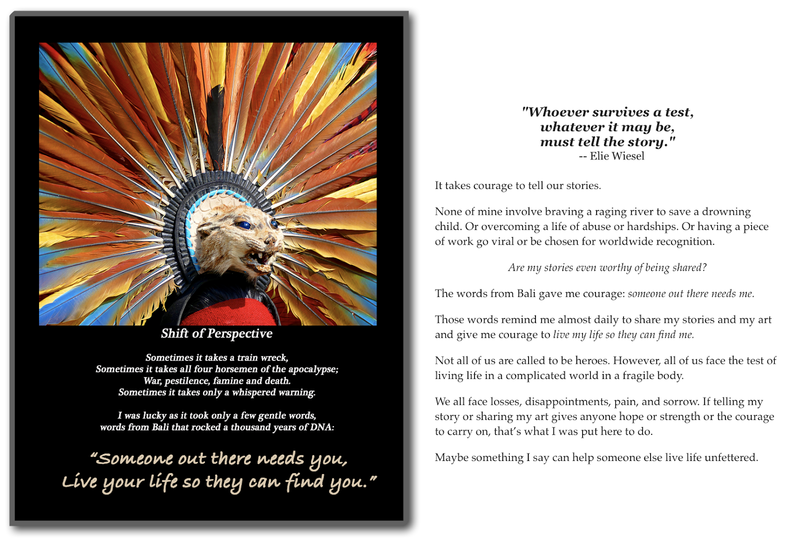 Click here if you would like to hear more about how this book was created. Kaleidoscope of Self ... thoughts about creating ourselves anew in "this stage of life"
8/17/2017 -- Rumi's words this morning drew me into creating this image and contemplating the unending beauty that flows through the universe. It's an easy thing to forget in these days of turbulence. Reward Card -- Eat on and on, you lovers, at Eternity's table; its feast is forever; and spread out for you. 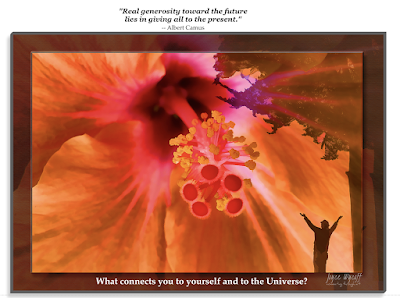 Prosperity of all kinds is now open to you. 8/8/2018 -- What an interesting world. 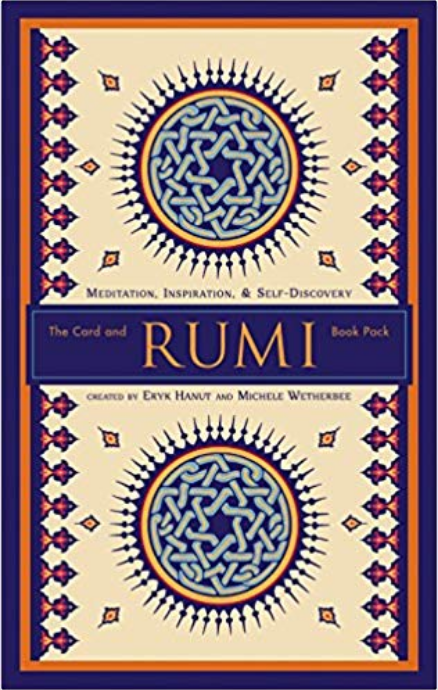 Eryk Hanut, author of The Rumi Card Book, and I have become friends on Facebook, where I learned what an absolutely amazing person he is. 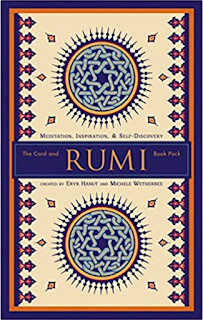 His Rumi deck is so important to me that it's one of the few things I brought to México with me.